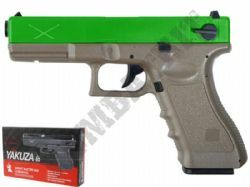 Shop for Electric Airsoft Pistols & battery powered electronic 6mm BB pellet hand gun replica in UK legal two tone colours. 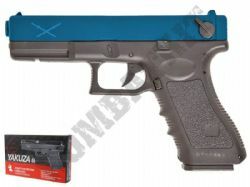 Electronically powered airsoft pistols are also known as AEPs “Airsoft Electric Pistol” or AEP “automatic electric pistol”. 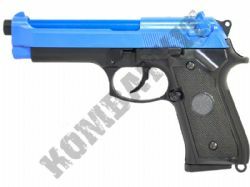 Our Electric airsoft BB pistols have many functions taken from full size electric BB machine guns, such as high grade metal gear boxes with single, semi & full auto firing / shooting capabilities, which make them in effect “machine pistols” or hand held machine guns. 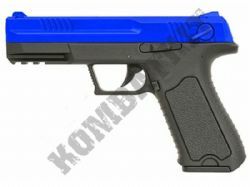 The 6mm BB electronic airsoft handguns we offer are all supplied with rechargeable ni-cad batteries & chargers. We have airsoft pistols for sale that are Milsim & Skirmish ready in 2 tone, which are full size replica models from Colt, Glock, Sig Sauer & Berretta. Check out our models with RIS rails for tactical upgrades such as lasers & torches. 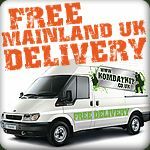 All our Electric airsoft BB hand guns are available from stock with free UK mainland delivery (T&Cs apply).